This is the message I want to pass on to my kids. 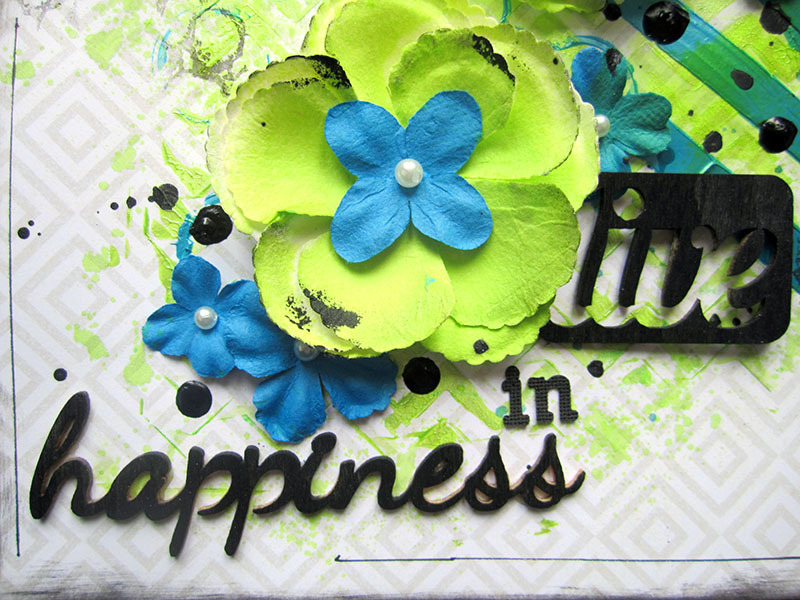 It is what I feel when I scrapbook and when I use Shimmerz and Prima flowers. It is total bliss and I hope my kids find something like this when they grow up. Something that makes them this happy. I hope that their happiness remains from childhood, the way it is in this photo. My daughter is jumping and splashing in the puddles after a heavy rainstorm. She’s so free here, the way it should be!!! I journaled about this feeling on both sides of the page. I used Dazzlers colors to create my chevron background. The small chevron was masked with Sour Apple and the large chevron pattern was masked with Gummy Berry Blue. 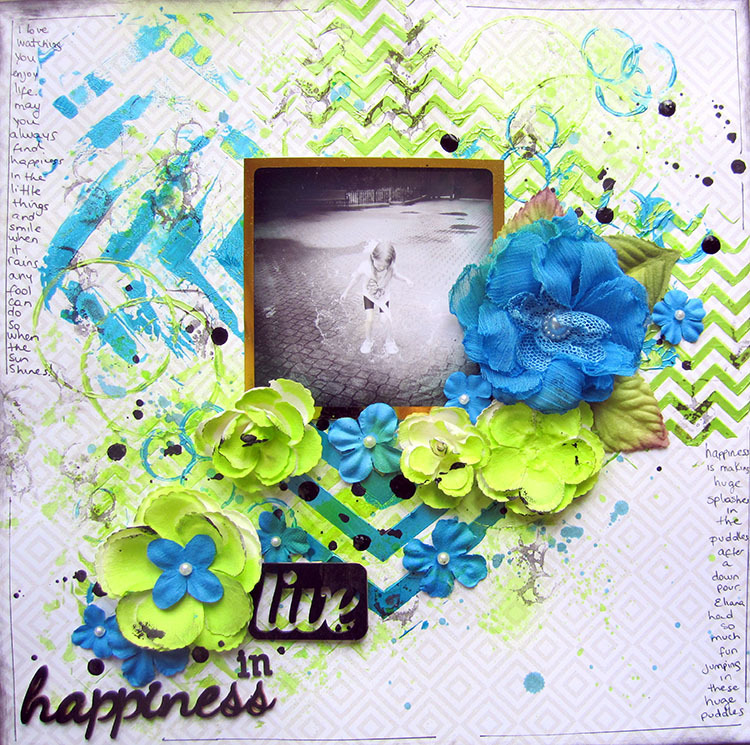 Then using the lid of the Dazzlers container and the lid of a Shimmerz spray container, I stamped circles on the page, using the same two Dazzlerz colors. I used a paint brush to paint the rim of the lid and then used it as a stamp on the page. 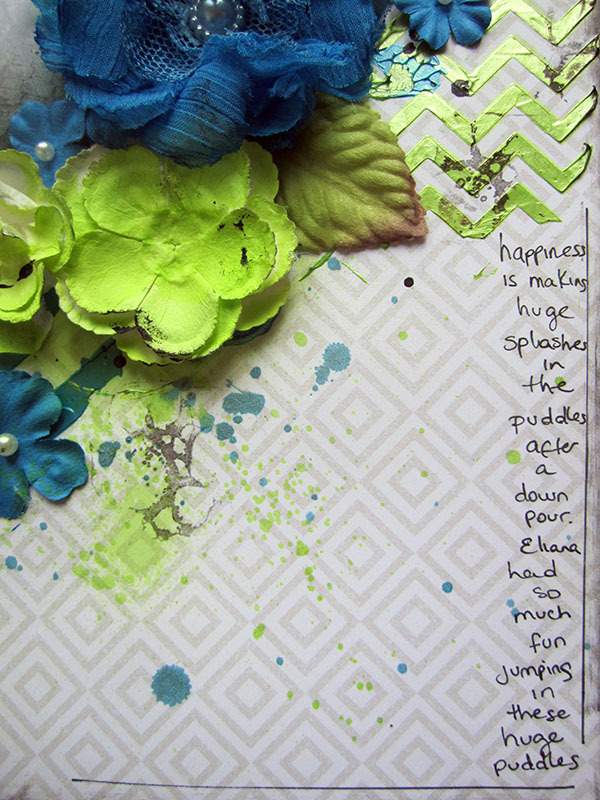 I sprayed the white Prima flowers with Lime in da Coconut Coloringz and also sprinkled it on the page using the dropper inside. 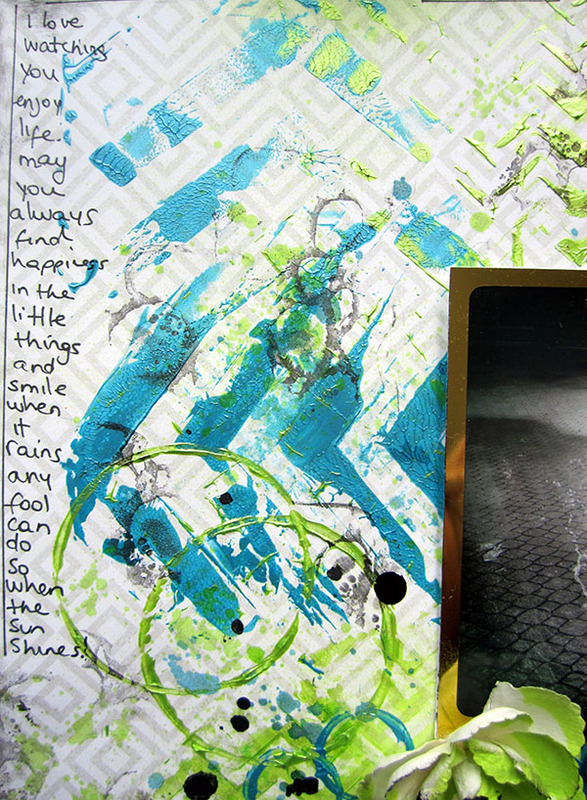 I also dripped some Sea Foam Shimmerz spray on the page. Finally I sprinkled some Before Dawn spray and made some dimensional dots using the new Witchy Poo Dimensionz paint. I also used the Before Dawn spray to cover the wooden title in black. You can get all the products I used today HERE at the Shimmerz Shop. They have a variety of colors and a special deal right now if you want to purchase some of the new Dimensionz products. and… just to make the deal even sweeter, if you mention my name during checkout at the “instruction to merchant” box, you will receive a sample of either a Dazzler or Texturez of your choice. You can even purchase one of the ones I used right here. Thank you so much for visiting me today. This is gorgeous!!! I love love love the flowers, the chevrons and the title is perfect!!!! 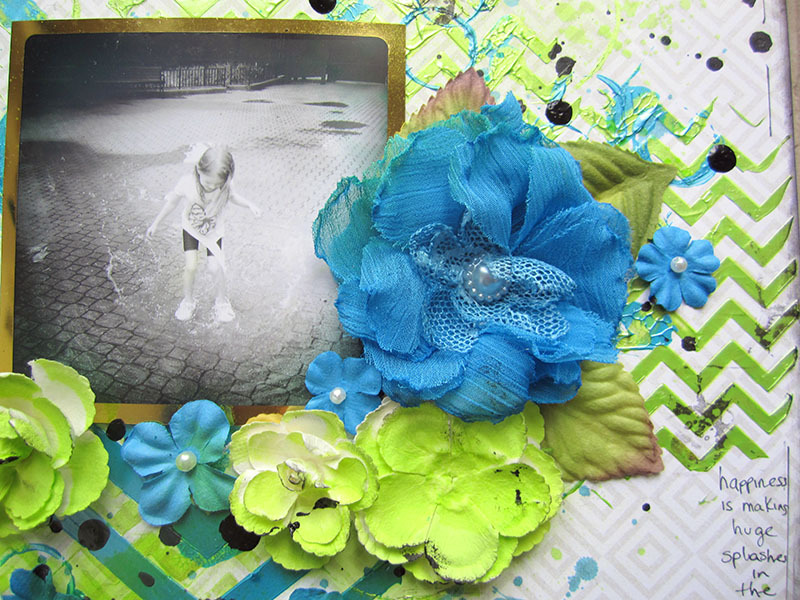 I simply adore the colors on your project and the photo of your daughter is just so precious! I hope she always will remember to splash in puddles! This is gorgeous.. the colors are stunning and so eye catching!! These colors make me happy ! what a wonderful page!